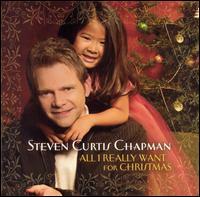 To initiate our Worship Friday I chose the song “Cinderella” by Steven Curtis Chapman. I can’t listen to this song without crying. I lost my father when I was very young. Although the author wrote the song about taking for granted seeing his daughters grow up; for me it reminds me of not having my father in those occasions. Growing up I went through the motions and it wasn’t until the day before my wedding that I remember being angry that my father was not going to be there. I had just picked up my dress from the shop and I was driving home. I started talking to him and acknowledging how much I missed him. I took for granted that my Holy Father was always there. Accepting the image of God as a father was hard for me as I didn’t know what that looked like. But his love is so overwhelming that is hard to not rest on him and understand what a father’s love is all about. Enjoy with me this video! I love Christian music videos. WOW Worship + other DVD colections. Cinderella by Steven Curtis Chapman makes me cry and remember the love of my Father just as you cry too. Worship music nights are woderful times to enhance our spirtual thoughts and feelings for God and love for others. Thank you Naty. I like and agree with on you so much. God Blessed. Worship music helps get me focused. Sometimes I find myself anxious about something and tell myself to pray. But,… I don’t feel like praying. So, I turn on the Christian tunes and that helps me get refocused and praying.